Our class teacher is Mrs Corlett. On a Friday morning Miss Kool will be teaching us. Miss Roughley supports us too. Please could I ask that all uniform/PE kits/water bottles have the children's names on. Outdoor PE is on Wednesday - tracksuits in winter are essential! Indoor PE is on Monday - please ensure that your PE kit is always in school. We will have weekly music lessons and during the spring term we will be learning a brass instrument. In the autumn term, we will have swimming lessons. We will need a swimming costume (trunks for boys not shorts) and a swimming hat. This year homework is changing. There will soon be a letter home explaining everything. 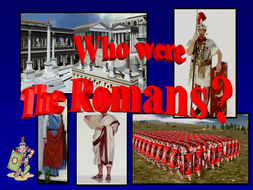 During the autumn term we will be learning about Italy and The Romans.